Join Beverley Racecourse for the social event of the summer, presented in partnership with Flemingate Shopping Centre. Get set for one of the best afternoons you'll spend with your friends this summer, as we bring you Flemingate Ladies' Day. From a laid back picnic in the Course Enclosure to the glamour and vibrancy of the Premier Enclosure, there's no other day quite like this. Gates will open approximately 11.30am with the last race approximately 5.30pm (tbc). 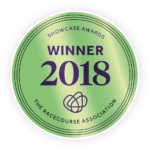 We are committed to making the racecourse an enjoyable day out for everyone. Visit our accessibility page for full information. There's lots of ways to get to the course, from car to bus to train. Why not visit historic Beverley first, before a pleasant stroll amidst the hundreds of Beverley folk making their way up to the course for the afternoon's racing? Visit our Plan Your Day page for full information. Free parking is available outside the course on the Westwood, or if you'd like to bring your car into the Course Enclosure it's £6 on a first come, first served basis, with the exception of Ladies' Day when you can pre-book. Visit our Plan Your Day page for full information. There's a wealth of bars and eateries available on course for you to try out, from restaurants and champagne bars to BBQ caterers and real ale. Visit our Enclosures page to see what's available where. The Premier Enclosure is the only area with a smart/casual dress code. This means no sportswear or shorts and we ask that gentlemen wear a collared shirt. Make the most of the opportunity to dress up! You can place bets with the Tote or on-course bookmakers, who can be found in all of our enclosures. There’s plenty of choice when betting, from straightforward win or each way bets to forecasts, placepots & more. Visit our Plan Your Day page for full information. Programmes are on sale for £2.50 from all entrances. They tell you what horses are running on the day, who’s riding them, what colours they’ll be in and their recent form, as well as tips on how to bet, where to eat and drink & information on the course. Dogs are not allowed on a raceday for safety reasons, with the exception of guide and hearing dogs. Please don't leave any dogs in your parked car - on a hot day the police will be called. If you’re visiting from further afield, Beverley is a beautiful area to stay and explore. Browse everything from the cosiest B&Bs to beautiful holiday lets on Visit Hull & East Yorkshire’s useful accommodation guide.